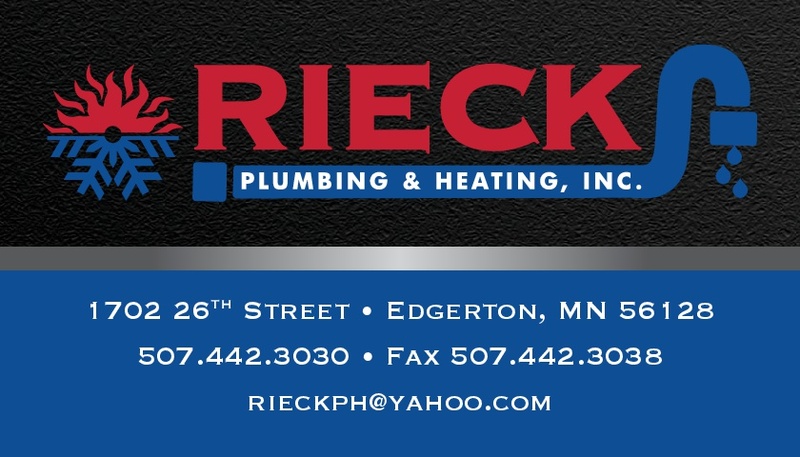 Edgerton, MN Plumbing Repair Service | Plumbing Repair Service Edgerton, MN | Rieck Plumbing & Heating, Inc. If you're looking for affordable plumbing repair services that don't skimp on quality, Rieck Plumbing & Heating, Inc. is the place to turn. Remember, when you attempt to tackle plumbing problems on your own, you run the risk of personal injury and making matters worse. Don't compromise your plumbing infrastructure when Rieck Plumbing & Heating, Inc. is on hand. Whether your plumbing repair issue is an emergency or simply a nuisance, we'll respond quickly, and we'll always do our best to offer cost-effective solutions. To speak to a helpful company representative or learn more about our plumbing repair services, call Rieck Plumbing & Heating, Inc. today.